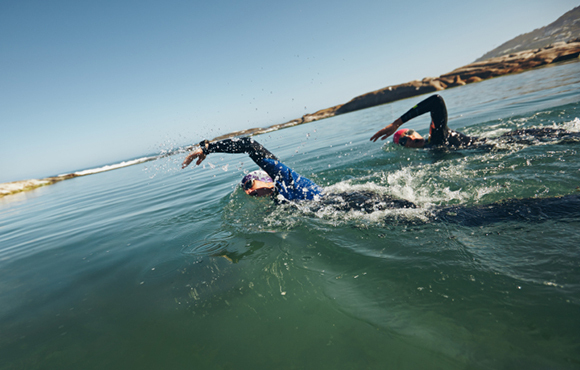 Whether swimming is your new passion or a necessity for your triathlon addiction, these 10 tips will help you when training and racing in the water. Hint: you can squint your eyes to allow a small amount of water to seep in. This water will slosh around your goggle lenses to keep them fog-free. 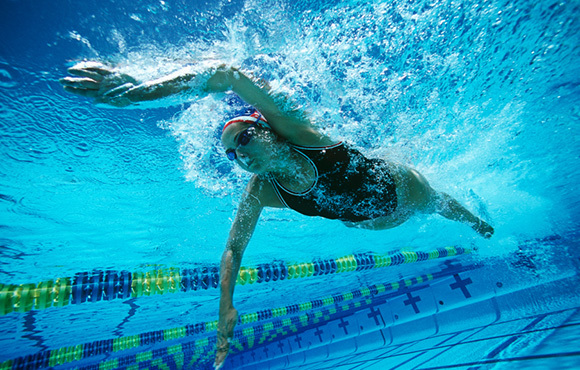 In order to increase your ability to sight in an open water race or triathlon, practice sighting in the pool. On every fourth lap, throw in a few sightings while swimming across the pool. Look up two to three times and try to keep a streamlined position by not dropping your hips and legs. Attempt to look up in one smooth motion within your arm cycle. If you want feedback on technique, ask your coach or lane mates to check out your sighting technique and give you some constructive criticism. It's important to continually improve this part of your swimming technique. 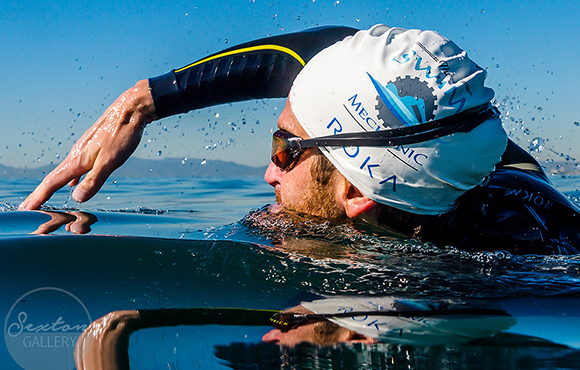 If you sight once every 25 yards in a full Ironman triathlon, that is 169 sightings during the swim. 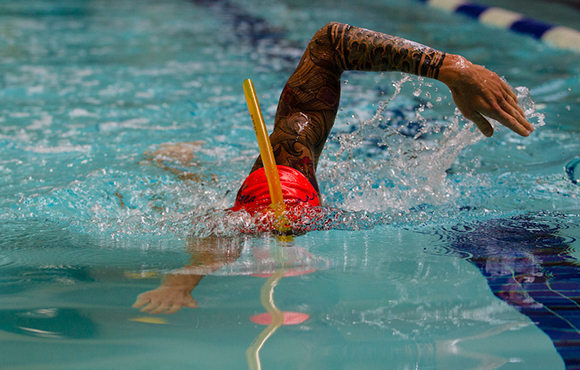 When practicing with a swimmer's snorkel, you can concentrate on your arm stroke and body rotation more easily. 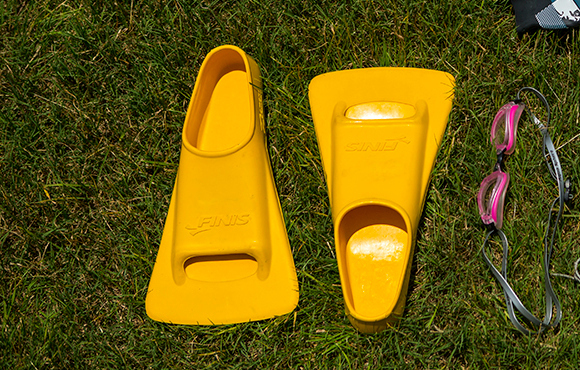 Competitive swimmers use this type of equipment all the time. So should you. Always keep two pair of broken-in goggles on hand—a clear set and a dark set. Use the clear set of goggles for rainy, cloudy or foggy days. Use the dark set for bright, sunny days. 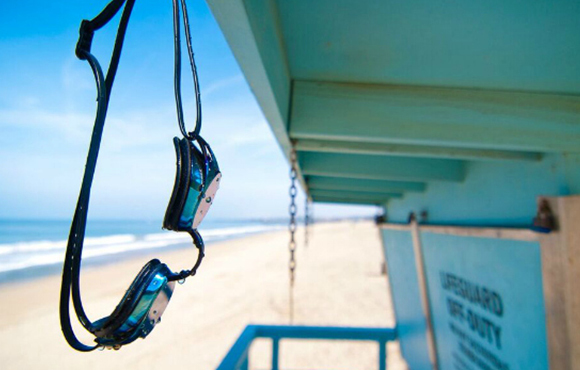 Use both pairs of goggles during your pool practices so you are equally comfortable with both pairs. Look for those alpha athletes who warm-up before the race. They are a great resource for questions you might have about the course, such as what direction the currents are going or what to expect out in the water. 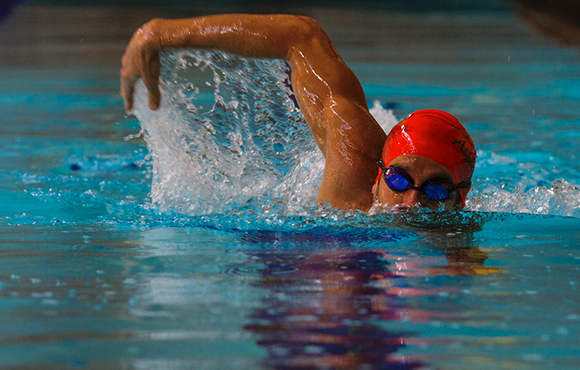 Tell them that you are a newcomer and are looking for a few good tips from experienced swimmers. They will appreciate the compliment and be happy to share their knowledge. Most people get nervous before a competition. Understand that you may not sleep well the night before your race. Get a good night's sleep in the week leading up to the race, but don't stress if you can't sleep well the night before. Wake up, get prepared and enjoy the big event. Steven Munatones is a multi-time USA Swimming national open water swim team coach, NBC Olympics marathon swimming commentator, International Marathon Swimming Hall of Fame inductee and 1982 world 25K swimming champion. He created the Open Water Swimming Dictionary, Open Water Source and The Daily News of Open Water Swimming. 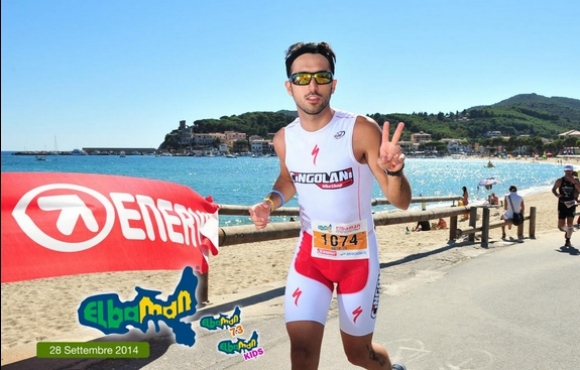 He is also founder of the World Open Water Swimming Association.